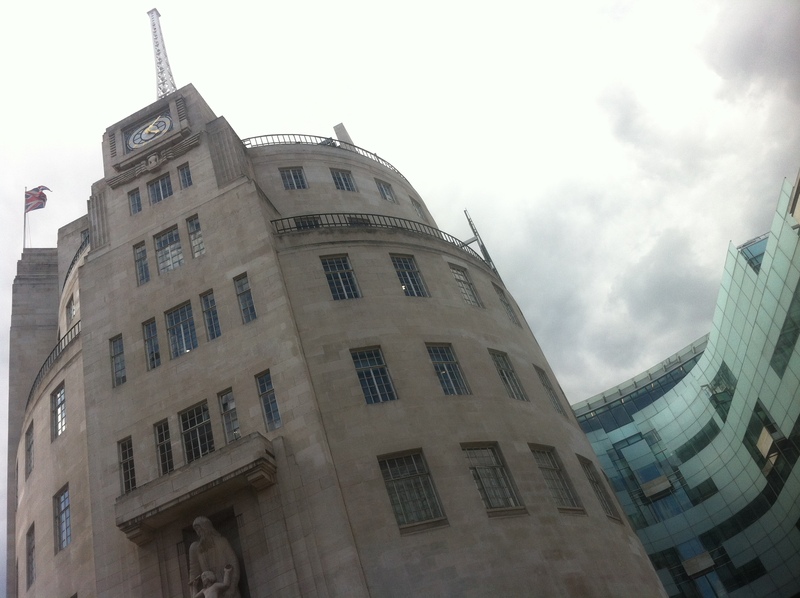 I’m mainly blogging at the Guardian at the moment. Today I posted a piece on the fossil fuel disinvestment campaign, which has been rolling through US universities for a while. In essence, disinvestment is the opposite of investment, inviting people to think about how their money’s being used when they’re not using it themselves. There’s a good Rolling Stone piece from last February if you want a catch-up on how the campaign has taken off in the US, or see the 350 website for more. As I wrote on the Guardian piece, I suspect UK universities will take broader approach to the ways in which their campus might become “fossil free”, largely because they don’t tend to have such large endowments to invest. The People and Planet site already has a reasonably impressive list of demands under simply “move their money” including changes in careers advice, a phase-out of fossil fuel research and to demand more research funding on renewables. Recent years have seen growing campaigns to “disarm” universities – e.g. Leeds – not only in terms of shares in arms manufactures, but careers fairs and the money they take for research, which is substantial, as funding from the oil industry can be too. In some respects, this is less about universities disinvesting, and more the other way around. It’s about preventing particular industries from being able to profit from the resources universities hold; the people we train, the cultural authority we hold and, perhaps above all, the focus of the research we do. I suspect we’ll see more of these campaigns in the future. In fact, the University of Oxford will see on Thursday. Its Earth Sciences department is launching a new partnership with Shell. Ed Davey, Secretary of State for Energy and Climate Change, will be there. And activists are planning to meet him. This entry was posted in science and tagged climate, funding, science, science policy on May 8, 2013 by alice. 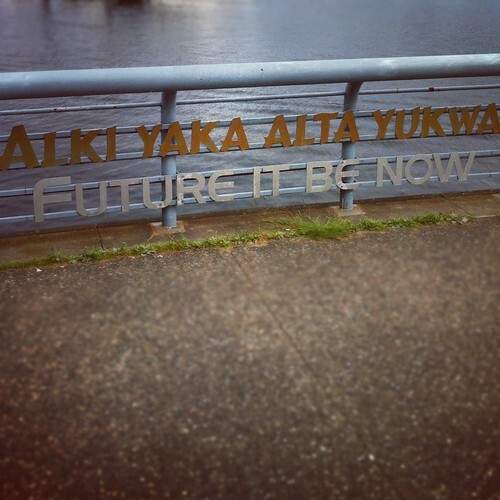 Future it be now, Vancouver. My column for the December edition of Popular Science UK magazine is online (you have to subscribe to read January’s one, on animal testing). The column first went live just before the Doha climate talks, and focuses on what I see as a lack of government support on communicating climate change. I remembered Mike Shanahan’s blogpost from the year before; asking his readers what their government tells them about climate change and pointing out that in 1992, 200 governments had signed up to keep their citizens informed on this issue. The answer to Shanahan’s question isn’t especially encouraging. As George Monbiot put it in his end of 2012 column, “our leaders treat climate change as a guilty secret”. They shouldn’t. What’s more, we shouldn’t let them. Here’s an extract of the full piece, or go over to the Popular Science archive to read in full. Freedom of information requests to the UK’s Department for Energy and Climate Change last July showed that its communications budget has been cut by nearly 95% since it had come into existence in 2008. Yet recent research showed some key gaps in the public interest and knowledge of climate change and a desire for more information. Moreover, as Shanahan asked, is our Government “just producing communications” about climate change (which might feel like alienating PR) or is it engaging its citizens in a conversation? And if not, why not? All too often, public debate about climate change happens by accident or when someone works to engineer a news event: when there is a political scandal – be this “climategate” of climate scientists or “energygate” exposing politicians – or when activist engineer stunts like flashmobs at the British Museum or living up chimneys for a week. At a recent discussion on communicating uncertainty held at the University of Oxford, climate scientist Myles Allen made the interesting suggestion that the IPCC should stop publishing Assessment Reports, as they serve no useful public communications purpose (Adam Corner has a good report on this event). Guardian journalist Fiona Harvey replied that she liked these reports because they gave a hook for looking back and discussing everything that had happened in climate science since the last one; “it’s like the Olympics for climate change”. She makes a good point. Except climate change isn’t a sport. Also, it’s not Harvey’s job to communicate climate science; she journalistically reports and investigate it (and sells papers). She should be free to do her job, but climate science doesn’t work to a news cycle, neither does environmental change or what we might change in ourselves to deal with it: climate communications shouldn’t be left to what’s in the news. 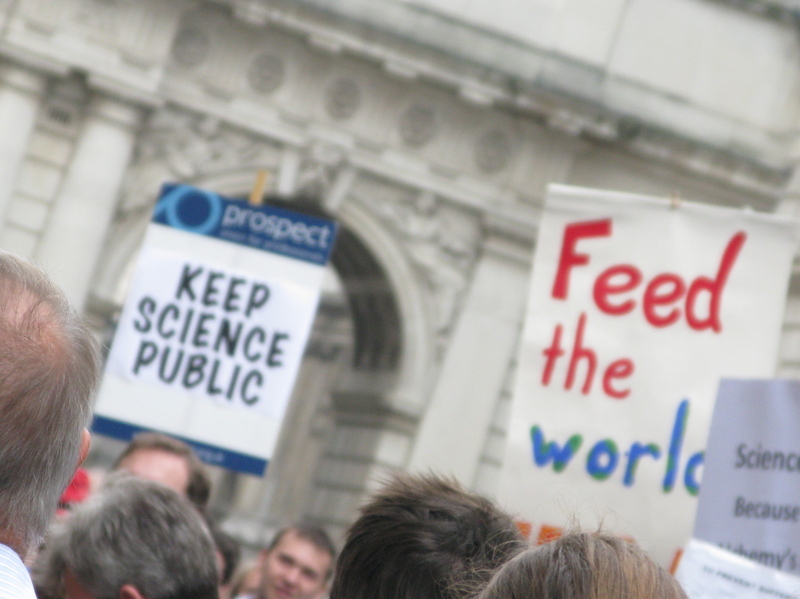 I’d like to see the scientific community take greater responsibility for the job of engaging with the public on climate change, and I think the governmental bodies that fund them should do more to support them in this. We invest in scientists to look at climate change in detail, armed with special equipment, knowledge and methods to see it happening – but we need to invest in sharing this knowledge, too. If governments don’t take a more proactive role in helping us see this and think about what we might do about climate change, it’s easy for it to get lost. Science isn’t just about finding out new knowledge, it’s about sharing it and putting it to use, too. As American writer David Dobbs put it so neatly a few years ago; publishing a scientific paper is only half the job. One might argue it’s even less than half. Arguably, many are on this job already, but not enough and it’s hard work. It requires some attitudinal change in areas of science, as well a range of support – not just financial – from the range of governmental and quasi-non-governmental bodies that surrounds them. Communicating climate change is the government’s job. They signed up to it and should be taking more of a lead. Government communication on climate science doesn’t have to be top-down. It can be something we take part in. And it can be something we demand too. This entry was posted in climate, science and tagged climate, communication, funding, policy, popular science, science on January 7, 2013 by alice.